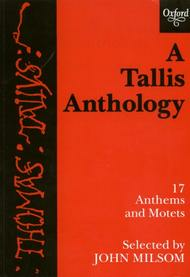 Composed by Thomas Tallis (1505-1585). Edited by John Milsom. Arranged by Milsom. Mixed Voices. Sacred. Choral Collection. 128 pages. Oxford University Press #9780193534100. Published by Oxford University Press (OU.9780193534100). ISBN 9780193534100. 10 x 7 inches. 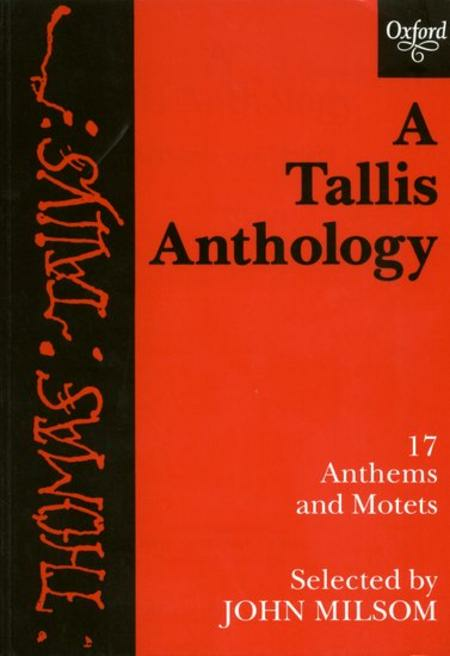 An anthology of 17 of Tallis's shorter anthems, some familiar, some little known, but all freshly edited and revised. Includes practical performing editions (transposed where necessary, and with keyboard reductions) of 11 motets with Latin texts, 2 sacred partsongs, and 4 anthems with English texts, all with full critical apparatus.